GBCI and USGBC have announced the class of 23 LEED Fellows for 2017. Another year, another ground of gratitude for the pioneers who have made LEED what it is around the world. Green Business Certification Inc. (GBCI), along with the U.S. Green Building Council (USGBC) just announced the 2017 class of LEED Fellows. It's an incredible group with professionals distinguished in a variety of areas. I want to personally thank Larry Jones for his past work as a LEEDuser Expert right here. The recipients will be honored at the 2017 Greenbuild International Conference and Expo in Nov. 2017 in Boston. The nomination period for the 2018 LEED Fellows class will open in February 2018. 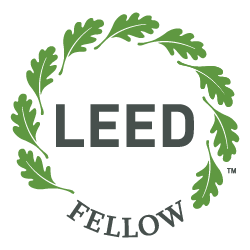 For more information about the LEED Fellow program and LEED credentialing, visit usgbc.org/credentials.